Hey ladies….I wanted to share a find or 6 that made me squeal last night. I don’t know if you’ve gotten a pair of their leggings yet, but you’ve probably heard of LuLaRoe by now. The LuLaRoe bug bit me when I was just using my online fashion sleuthing skills to help a close friend find a certain pair of leggings…her unicorn…more on the terminology later in the post. 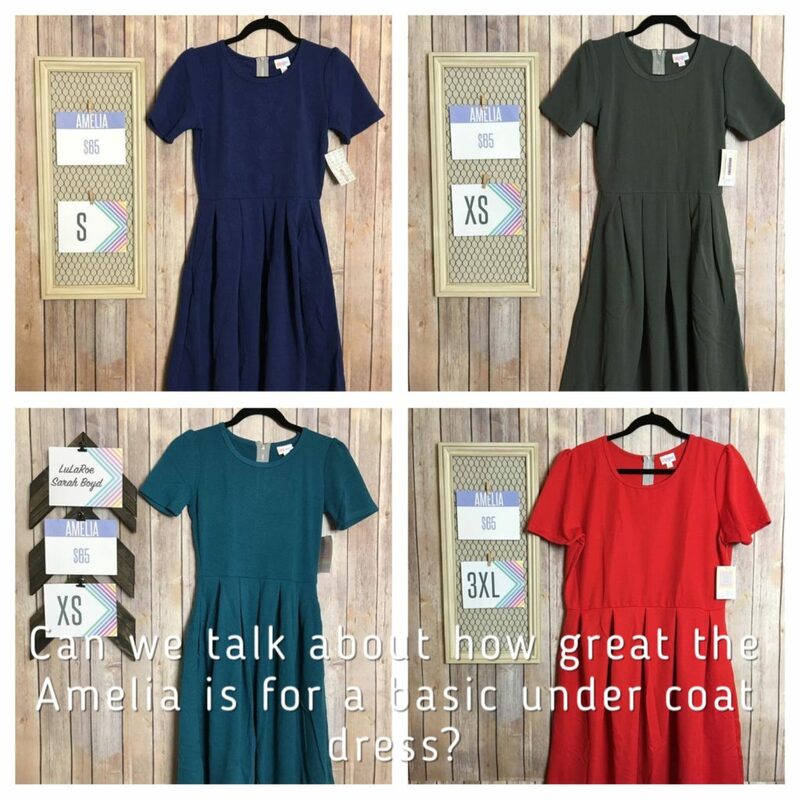 First I want to talk to you about some $65 dresses that made me squeal with delight when I found them and introduce you to my friend and LuLaRoe consultant Sarah Boyd. Sarah and her husband Art have been with the company for right at a year and have an inventory of over 2,000 pieces. Their nightly live sales on Periscope are fast-paced and funny and most nights I’ve watched they end up with a lot of stuff to ship out the next morning. I feel now is the best time to mention in the interest of full disclosure that Miss Sarah and Mr. Art are helping me on my own unicorn hunt in return for this post…..no I’m not getting free leggings (although I did just win a pair in a weekly giveaway! I never win anything!!! ), but they are helping me track down my 2 biggest unicorns so that I can get back to the work of running this site. Unicorn hunting is harder than making a royal wardrobe ID I swear. I was eating dinner when I remembered that a had slept through the start of Sarah’s Weekly Album Sale in her Facebook VIP group. I dashed back to my room and grabbed my iPad as soon as I finished my chili. As I flipped through the albums I came to a dress style known as the Amelia…I have not bought any of the dresses yet, but I thought I’d see if I could spot a watercolor one that everyone is going for…it wasn’t there and that’s fine but what were there were several solid color ones in a range of sizes that made me think of Kate. here are side by side shots to show you. 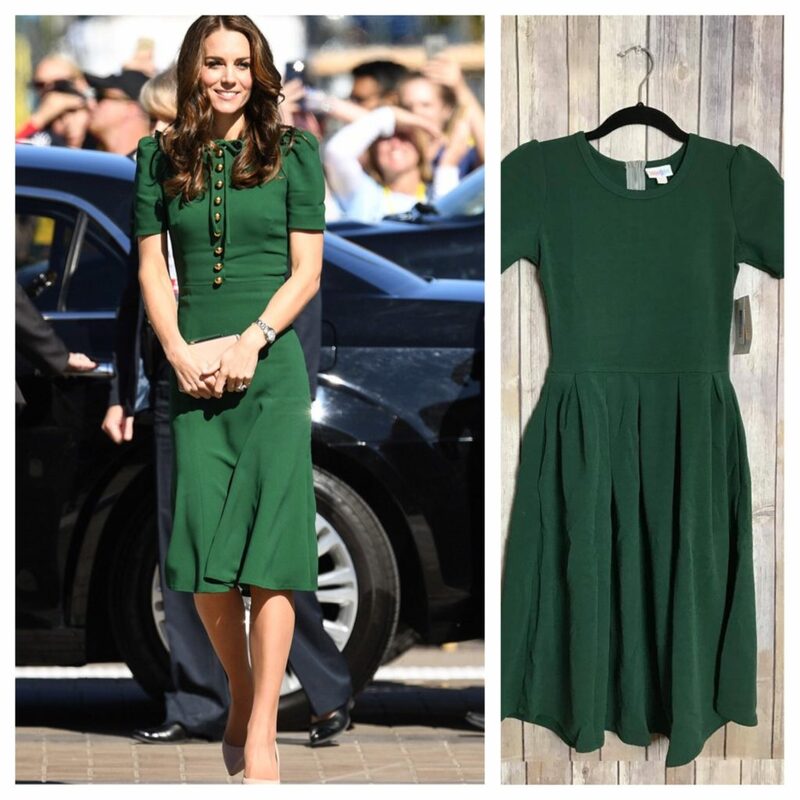 Now, I know these are not perfect matches but they are, I think, excellent RepliKates and good wardrobe staples at a decent price point. Anyone who has watched Catherine through one tour or even just an event that involves a church service knows how fond she is of a simple solid color dress underneath her coats. The Amelia fits that bill perfectly. But, Trish, you said something about unicorns? Are you sure you’re not just sleep deprived? I’m a royal blogger so yes my sleep schedule is all jacked up, and my acid reflux is making it REALLY hard to sleep lately….but I know what I’m talking about and in this case unicorns are real. A unicorn is a size,style, and print that you want but cannot find. LuLaRoe consultants can request certain styles like the Amelia or Joy or Gracie when they purchase new inventory but they CANNOT request a particular color or print. They get what the warehouse decides to send and don’t know if they even have 2 of the sane thing till they open the boxes. This means that if you see something you like YOU BETTER GRAB IT. Case in point I saw a pair of puzzle piece leggings in my size when I was shopping for my friend’s leggings but before I started shopping for myself…I did not grab them then and now the only place I can find them is eBay at 3 times the normal cost…They are now one of my 3 unicorns. Sarah and Art are awesome folks with a massive inventory, so if you want any of the pieces I showed you above don’t be afraid to reach out to them. You can join Sarah’s VIP SHOPPING GROUP (just click “Shop Now” then “Join Group”) or you can just email her. Send her one of the pictures above if you want those dresses and she’ll help you figure out sizing….if she has it in your size she could mail it tomorrow. She can only ship to the US right now but if you are ion the UK and want a dress or anything really, let me know I can help facilitate shipping to you if you don’t already have a friend that you use for that kind of thing.